At Stand D24 from 23 – 24 October at Olympia London, Imperial will be the showcasing the widest range of traditional handmade bricks on the market, suitable for domestic and commercial refurbishment, renovation and new build. As well as this, exclusive products for London and the Home Counties will be on show. Take the Yellow Stock range; it includes four variations, plus a new Original London Stock blend with authentic and unique ‘coal spotting’, all complemented by a heritage lime mortar range designed specifically for the capital. The new linear handmade bricks come in regionally matched blends, a unique offering that is not available from any other UK supplier. 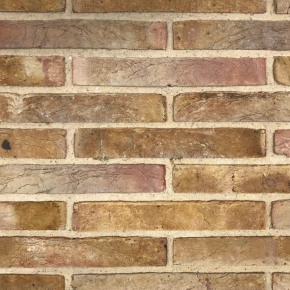 Jason Hughes, MD at Imperial Bricks, commented: “We specialise in regionally-matched bricks in imperial and metric sizes to suit almost any project. Imperial Bricks also offers a pair of CPD seminars, which have proven incredibly popular; Revolutionising Restoration covers traditional brickmaking methods and how to specify the right brick, whilst Innovative Brick Matching Solutions looks at blending, colour correct and remedies for matching weathered and aged brickwork.